Coka cola or Fanta? 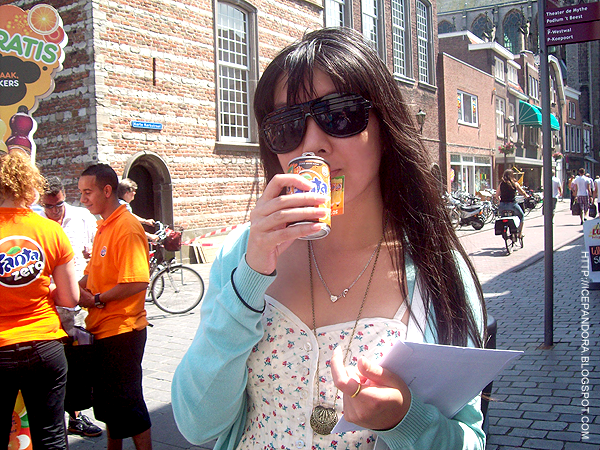 I prefer Fanta more because I like orange juice and Minute Maid! 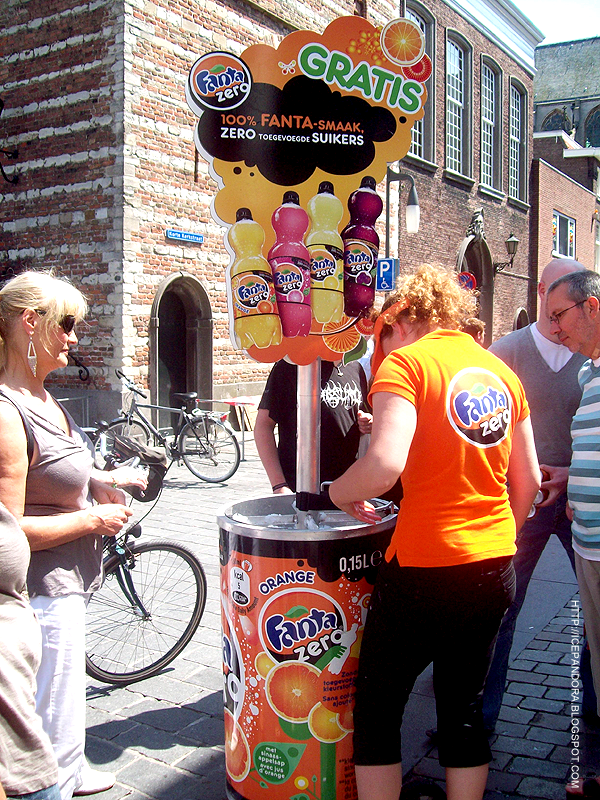 These days in Holland are so hot, I was happy they were giving free Fanta try-outs! So refreshing. Psssst you guys can stand here everyday! How does it taste? 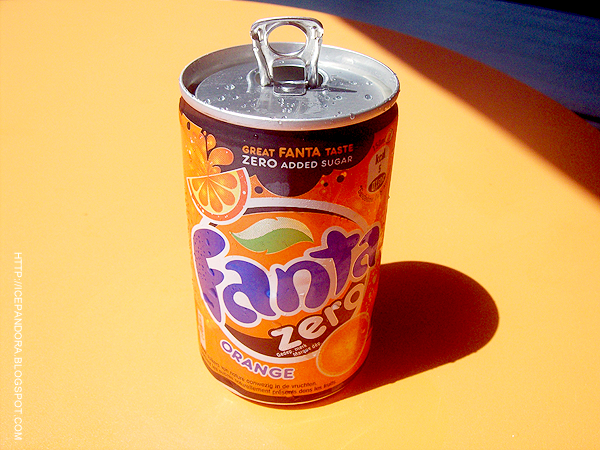 Does it beat the original Fanta taste? The answer is: nope. fanta is special because u cant find it everywhere!